On Sunday, February 3 from 2-4pm, Wiebke Larson, bunny owner and Waldorf teacher at the Children’s Sonnen House in El Cerrito, will conduct a recycled sock bunny tutorial for the 1001 Sock Bunnies Community Project: Craft with a Cause at RabbitEARS. All ages are welcome and encouraged to join the fun. BRING ALL OF YOUR CLEAN MIS-MATCHED SOCKS! Class is free of charge, but donations of socks and handmade sock bunnies are gratefully accepted. We will be collecting and making sock bunnies until Easter Sunday, March 31. 1001 Sock Bunnies reflects the number of rabbits that will be bought and sold in pet stores and city streets this Easter, then abandoned, died or sent to shelters for rescue, spay and neuter. 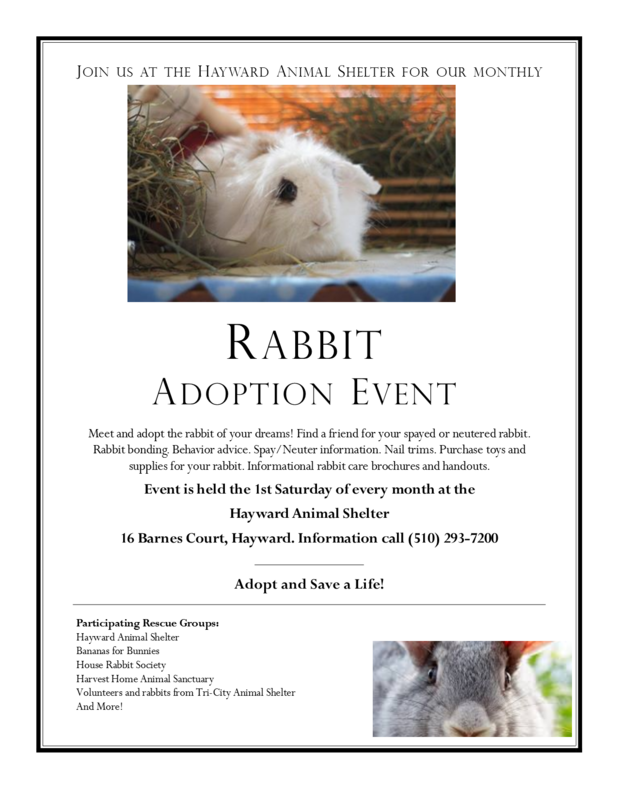 Donations for the “adoption” of the 1001 Sock Bunnies on Easter Sunday at RabbitEARS will fund veterinary care for the 1001 Easter bunnies we can save! House Rabbit Society is hosting a very special vegan Valentine’s bake sale with cookies, cupcakes, breads, and more! Eat cookies…for the bunnies! Vegan treat bakers (and eaters!) needed – email hq@rabbit.org to sign up to bake!